This Saturday, come join us for our new RELAUNCH EVENT! 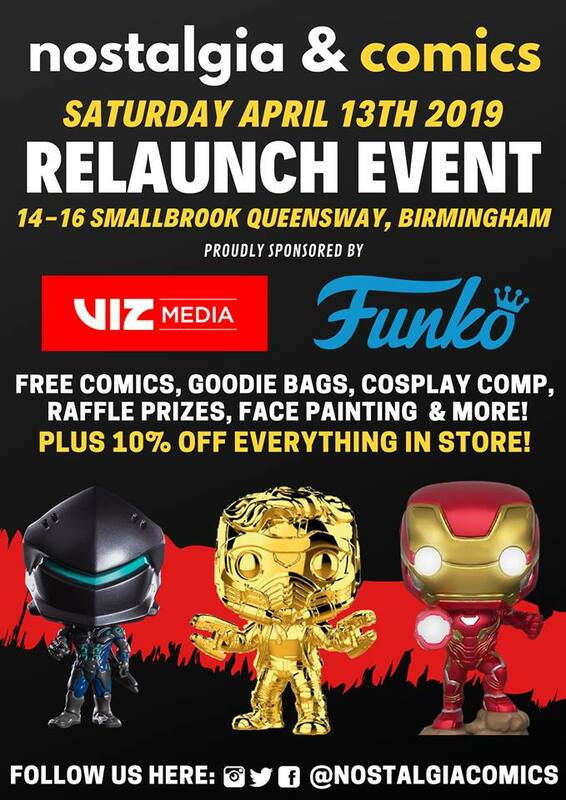 That’s correct, we’re giving away FREE COMICS and GOODIE BAGS, along with a COSPLAY COMPETITION, FACE PAINTING and MORE! And if that wasn’t enough, we will also be offering 10% OFF EVERYTHING IN STORE! The first 300 will receive a bag of goodies! We’ll see you on opening day, bring the whole family!